As their life progresses women’s retirement savings take a drastic hit, according to data collected by PensionBee. The online pension manager analysed the amounts within 1,473 pension pots and discovered a big disparity dependent on age - women over 45 carrying 22% less in their pension than men in the same age group. 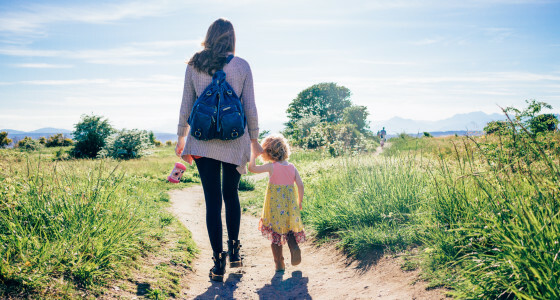 The PensionBee findings follow recent IFS research that points to a gender pay gap, with the disparity between women’s and men’s earnings rising to over 30% ten years after a woman has her first child. 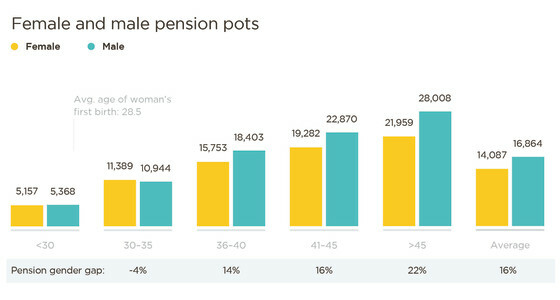 According to ONS research the average woman has her first child at the age of 28.5 years, and it’s after this age that the PensionBee data reveals a growing pensions gap. The findings give yet more weight to the claims of an economic gap between men and women, affecting not just take-home pay but retirement saving too, potentially leaving female pensioners with a far poorer quality of life than their male counterparts in the long term. Given the pensions divergence begins in the 30s, it seems that having a child is what hits women’s pension pots hardest. This adds to the impossible dilemma that many women face, as taking time off work to have a child impacts not only their present earning potential but also their future income and quality of life. “Right across their lives women earn less and so have less to save for their pensions. What’s more, whilst auto-enrolment has been an important step forward, women are still more likely to be excluded from the benefits.